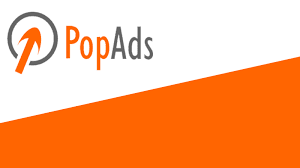 popAds is a premium pop-under advertising network. It was started in 2010 as a specialized pop-under advertising network and today it has become one of the most popular pop-under ad network. The reason behind its popularity is the quality of service it offers to its users. PopAds provides industry’s highest CPM rates, fastest payments, very fast and responsive support, liberal terms and best of all high quality content driven ads that increase conversion rate and hence, increase your earnings too. PopAds uses CPM model to pay its publishers. It not only offers high CPM rates but it also provides 100% fill rate. Since, PopAds is a very popular pop-under advertising network, so, it has lots of worldwide advertisers. This high quantity of worldwide advertisers let PopAds to provide high CPM rates and 100% fill rate to publishers. PopAds gives the freedom to publishers to show the pop ads of their choice that means if you don’t want to show any specific type of pop ads on your website then you can turn them off any time and it will replace them with some other ads. On PopAds, you can also set your pop-under frequency to best suit your website’s interests. PopAds is one of the fastest paying ad network, so, you are free to cash-out your income anytime. You can even set your account on auto-withdrawal mode for automated payments. Another good thing about this ad network is, it accepts all kind of websites including adultcontent websites. So, even if you have adult content website then you can easily monetize it with PopAds. This is the overview of PopAds, so, lets have a deeper look of this network to know all of its features, pros and cons. The sign up process on PopAds is quick and easy as it accepts all kind of websites including both adult and non-adult content websites, low traffic websites etc. Also, it has liberal terms which make it easier for your website to get approved. Though getting approval is easy on PopAds, but it reviews each and every website before approving them. For easy approval please make sure your website is at least one month old and have at least 20-30 posts on it. Their review process is quick. They usually review all websites within 24 hours of submission but it may take up to 48 hours because of the high quantity of publisher applications. In my case they took only 2 hours to approve my website. Usually PopAds offers high CPM rates but the rates are fully dynamic and depend on many factors like: visitor’s country, your website quality and niche and even day of the week and time of the day. PopAds uses bidding system which ensures all publishers get the highest possible rates for their inventory. Also, since it is one of the most popular pop-under ad network, so, it has lots of worldwide advertisers which further ensure higher rates and high quality country and content based ads. For me, PopAds rates are higher than any other pop-under ad network. Since, it is a specialized pop under advertising network, so, it offers only pop-under ads as a solution to publishers that they can show on their websites to earn money. However, you can select the type of pop ads to be shown on your website. PopAds offers a very good stats reporting system where you can see the detailed stats of your ads. Its stats reporting system provides various filters that you can use to breakdown your reports for better analysis. Also, its stats reporting system shows stats in real time, so, you will never have to wait for some hours or a day to see your stats changing. PopAds is best in every field and therefore, it has set a very low minimum payout for publishers. The minimum amount required to cash-out on PopAds is only 5$ that you can easily earn with little efforts. Their high quality content driven, country based, high converting and high paying ads make it easier to reach this low minimum payout limit. 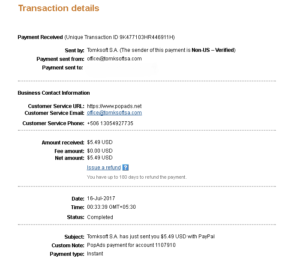 PopAds offers various payment options to its users, which are PayPal, Payoneer and Bank Wire. Since, It is one of the fastest paying ad network, so, it process payments on daily basis. On PopAds, as soon as you reach the minimum payout limit then you can request a payout and you will be paid within 24 hours. If you don’t like logging in again and again like me then you can set your account on auto-withdrawal mode. Just set the minimum payout limit and see the money coming automatically. I will recommended everybody to set their account on auto-withdrawal mode for quick payments. Like most of the Pop-under advertising networks, it also offers a very good referral program. Its referral program is not limited to publisher or advertiser only. Instead, it pays you for referring both publisher and advertisers. It offers a great 10% referral commission program to its users. So, start referring your friends and colleagues to take advantage of this high commission referral program.